If you drop by at our shop you might find us stone-still staring. Well, we are really obsessed with lines and proportions. With each bike we build this starts all over again as we take “custom” serious. Step 1: Find out what you’re wishing for. Step 2: Define a budget. Step 3: Drop us an email or give us a call. and come up with design ideas – which leads us to step 4. Step 4: look out for the donor bike. The choice of donor bike is mainly depending on what bike origin you like, what engine size and what character your BERHAM Motorcycle is supposed to have in the end. Of course it also plays a role whether a bike is a good starting basis. A Hayabusa isn’t. But a wrecked 50ies Triumph is not where we should start either. The bike on the bench is built to suit you. 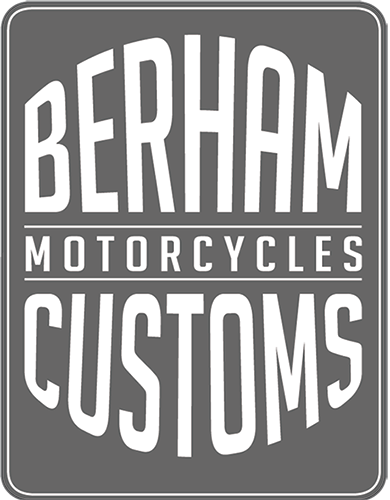 But it’s also going to be a BERHAM motorcycle. So after we have agreed on where to go we need the freedom to build your bike the way we want to – within the agreed budget, of course. This website, its design and all of its content is legally protected. For more details see our Legal Information.